Malaysia's ringitt continues to drop after a series of poor ratings and ongoing low commodity prices on the global market. Malaysia’s ringgit dropped the most in a week in the currency’s history after Fitch Ratings reported that the government would likely miss its 2016 fiscal deficit target. 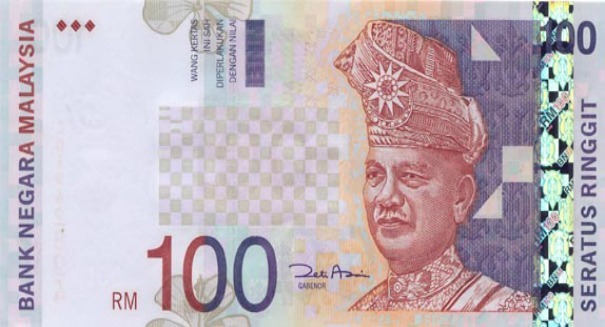 According to a report from Bloomberg, low commodity prices are keeping the Malaysian currency depressed, which is having ripple effects throughout the country. The drop may exceed the estimates of the Malaysian Prime Minister Najib Razak, which was 3.1 percent of gross domestic product. Fitch Ratings said that the drop was unlikely to contribute to Malaysia’s debt ration, which is slated to stay around 52 percent of GDP until the year 2017. Najib unveiled plans to raise taxes on the highest bracket of earners in the country in an effort to jumpstart infrastructure development and spending. He hopes the move will help lower the country’s deficit from 3.2 percent in 2015. In the face of low oil prices, says Singapore-based analyst Vishnu Varathan, the country may be getting ahead of themselves with hopes for uninterrupted fiscal consolidation. The release from Fitch Ratings didn’t help with the country’s financial confidence either, Varathan says. The Ringgit dropped 0.9 percent to 4.267 per dollar in Kuala Lumpur. According to prices gathered from local banks, this is the biggest drop since October 20. The Ringgit has gained 3.2 percent as investors wait to see what the U.S. Fed will do with the country’s interest rates, but it remains the poorest performing currency in Asia as low oil prices have depressed exports significantly. Bloomberg’s commodity index tracking 22 raw materials including oil and various metals dropped for the fifth consecutive day, pointing towards the longest run of declines in two months. Fitch’s outlook on Malaysia’s A-rating was raised in June following the warning of a downgrade due to the nation’s struggling finances. Sovereign bonds in the country rose, with 10-year yields dropping two points to 4.1 percent. This is the lowest rating since the 5th of August, according to prices gathered from Bursa Malaysia.